Abbey Court Hostel is located on Bachelors Walk just yards from O’Connell Bridge which makes it probably the most central hostel in Dublin. This hostel has its own tourist information centre where you can find anything you want to know about your trip to Dublin: tours, what’s on, transport, theatre tickets etc. 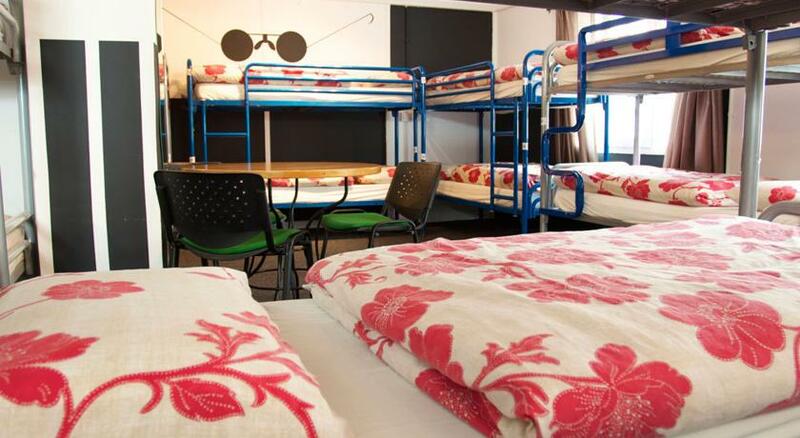 This is also one of Dublin’s busiest hostels and has a large capacity. Lots of facilities are provided including free WiFi, a cinema room, lockers in the rooms, laundry facilities and free use of computers. There are two TV Lounges and a games room. A kitchen where guests can prepare their own meals is provided as well as snacks throughout the day. Additionally this hostel provides an all you can eat breakfast. Dormitories at this hostel range from 4 bed to 42 bed and there are some exclusively female rooms. Rooms are non smoking. This is located just beside O’Connell Street in the centre of Dublin so it is convenient for Dublin’s rich night life, famous pubs including Mulligans of Poolbeg Street and for attending theatre or eating out.